Hanford Mills Museum will offer two themed-weekends as part of the statewide Path Through History initiative, which seeks to connect people with New York’s rich cultural heritage. 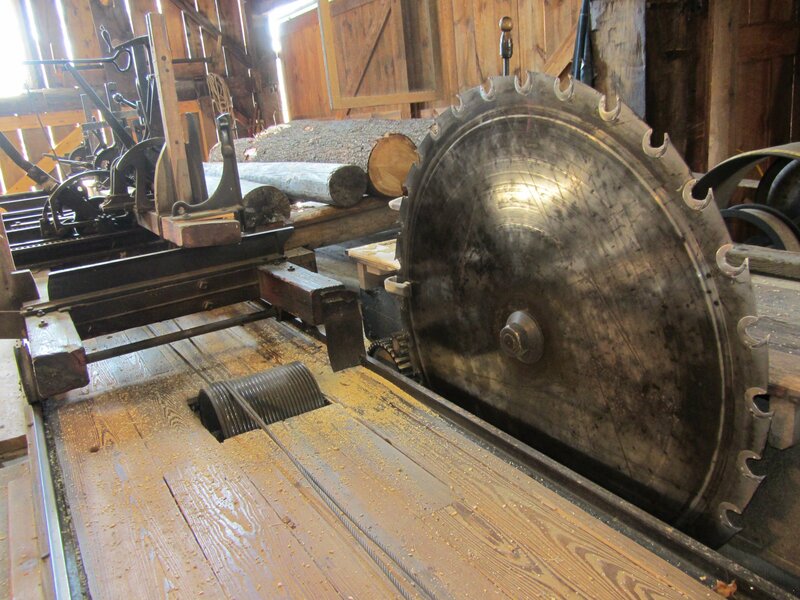 Hanford Mills operates a historic sawmill, gristmill and woodworking factory that grew in many stages between 1846 and 1902. On June 1-2, Hanford Mills Museum will hold a History at Work Weekend, giving visitors a firsthand view of the work it took to run a mill. A century ago, mills were a mainstay of rural communities. They provided lumber for homes and farms, animal feed, and other needed supplies. On June 8-9, in addition to the 1926 Fitz Overshot Waterwheel and a water turbine, the Museum will be running its steam boiler and steam engine as well as its gas-powered dynamo, which provided the village of East Meredith with its first electricity. “Mills were also key employers in these small communities,” explains Liz Callahan, the Museum’s executive director. “It took many people to do the work, hauling logs, running the sawmill and woodworking machines, making deliveries, managing accounts and making repairs.” Hanford Mills will offer visitors hands-on opportunities to experience the work of a 19th century millworker, including cross-cutting a log, using cants and peaveys to maneuver logs, building a box, and other tasks. A key theme of Path Through History is Innovation &amp- Commerce and throughout its 120-year history as a working mill, changes were made in production processes, power sources and the products offered for sale. Hanford Mills shows how the technology of wood processing, grain processing, and power generation, as well as the advent of the railroad, and changes in farming led the Mill to change and innovate. 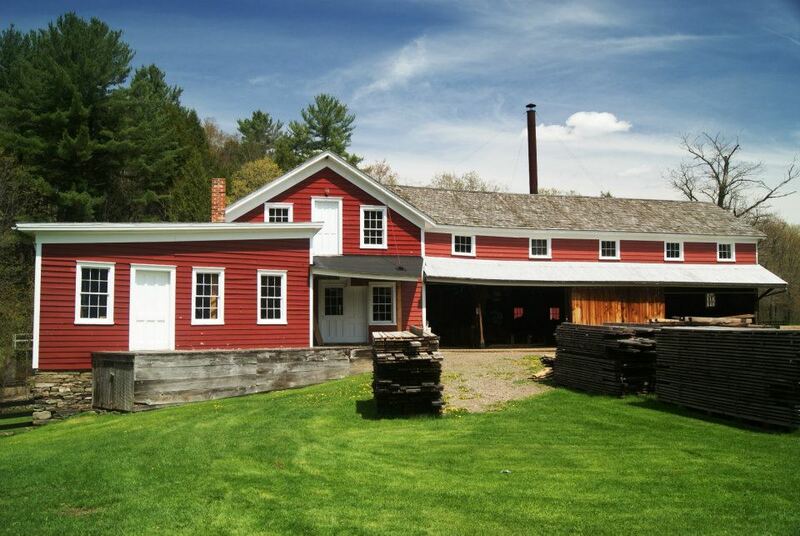 On June 8-9, Hanford Mills Museum will hold a Power of History weekend. The Museum shows the effect of technological changes on community life, especially the impact of energy and technology on rural communities. The Museum will be demonstrating the historic power sources used at Hanford Mills: water power with a turbine and Fitz Overshot Waterwheel, the steam power plant, and a gas-powered dynamo that generates electricity. Hanford Mills Museum, which is celebrating its 40th anniversary in 2013, operates an authentic water- and steam-powered historic site. The mission of Hanford Mills Museum is to inspire audiences of all ages to explore connections among energy, technology, natural resources and entrepreneurship in rural communities, with a focus on sustainable choices. The Museum, which is listed on the National and New York State Registers of Historic Places, is open Wednesdays-Sundays, 10 am – 5 pm. Children 12 and under receive free admission. Admission for adults and teens is $8.50, for seniors, $6.50. Active duty military and their families receive free admission as well. AAA and other discounts available. Hanford Mills Museum is located at 51 County Highway 12 in East Meredith, at the intersection of Delaware County Routes 10 &amp- 12, just 10 miles from Oneonta, and 15 miles from Delhi. For more information, visit hanfordmills.org or call 607.278.5744.